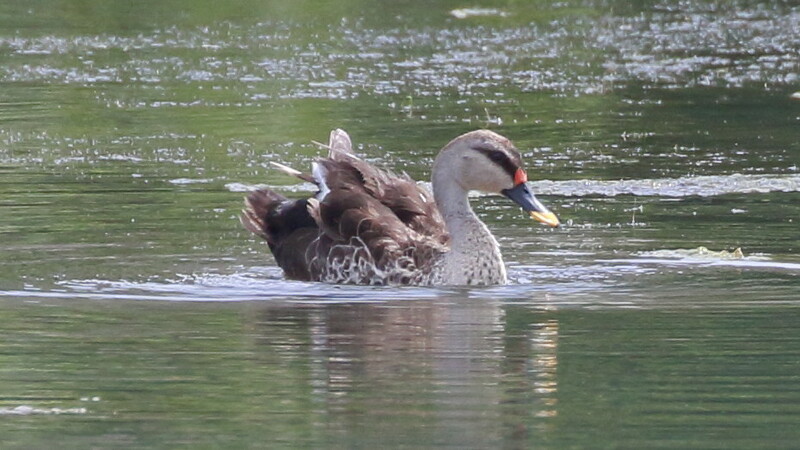 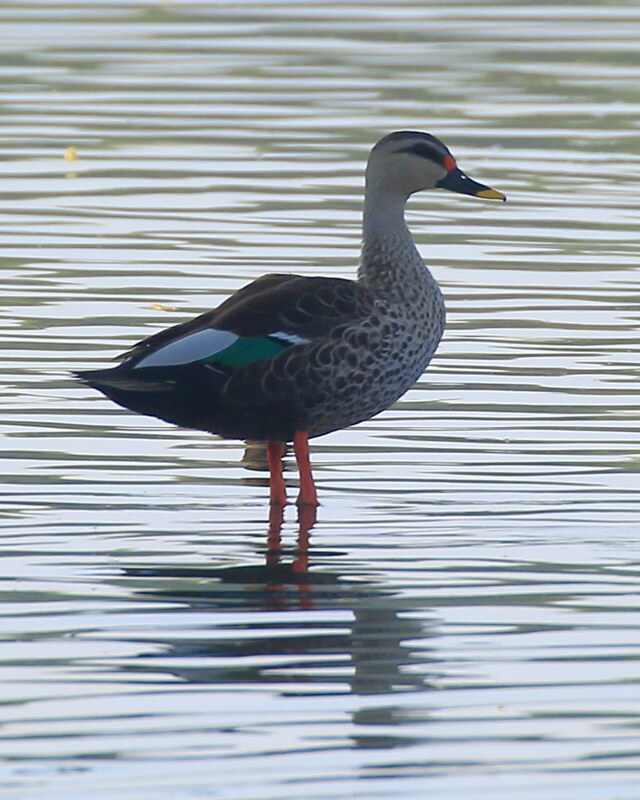 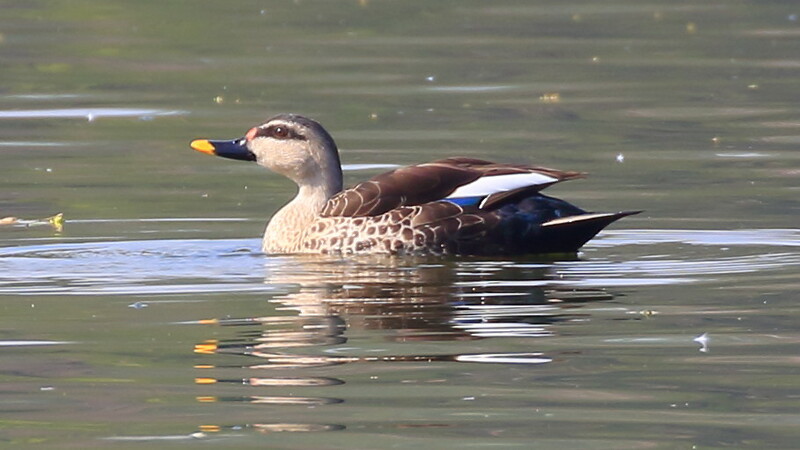 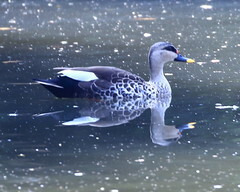 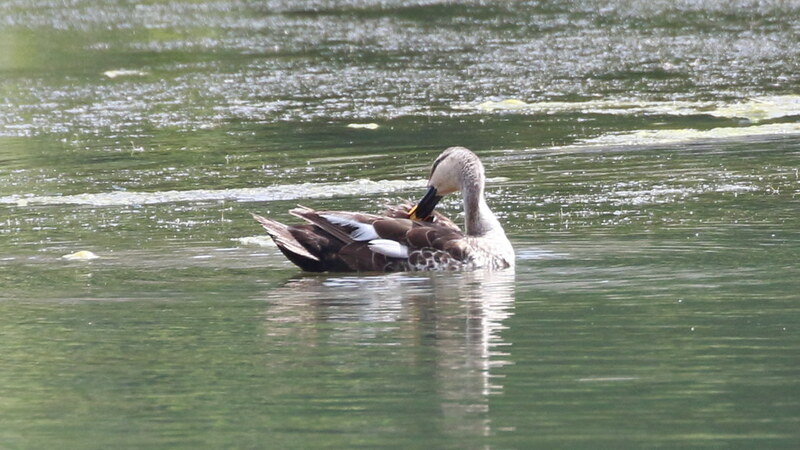 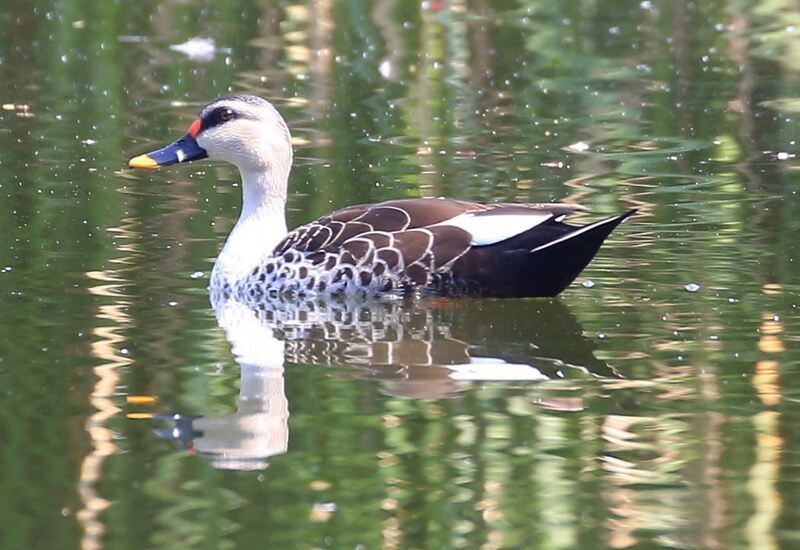 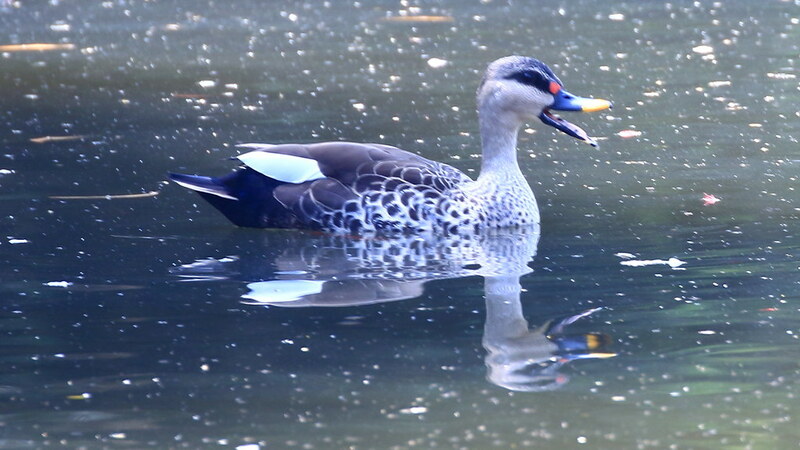 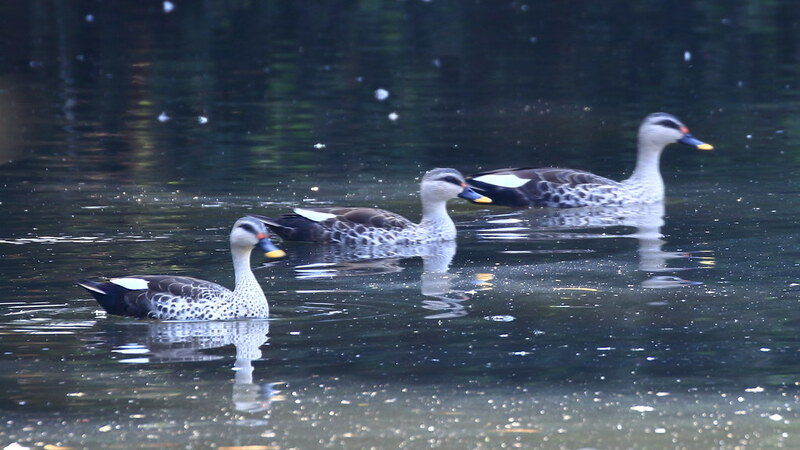 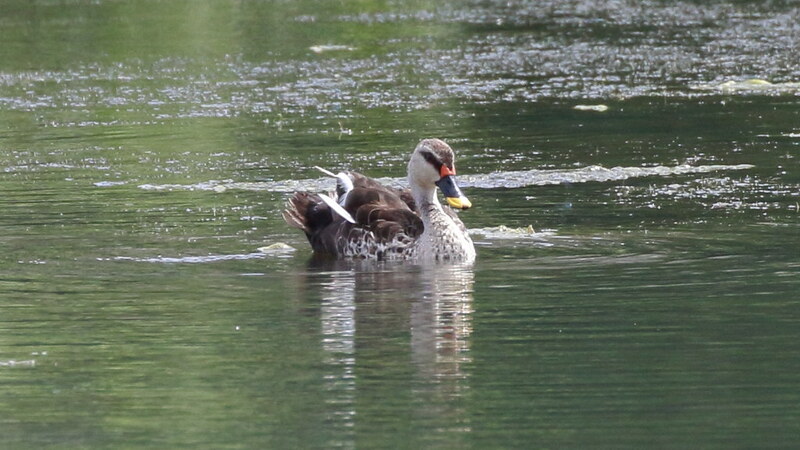 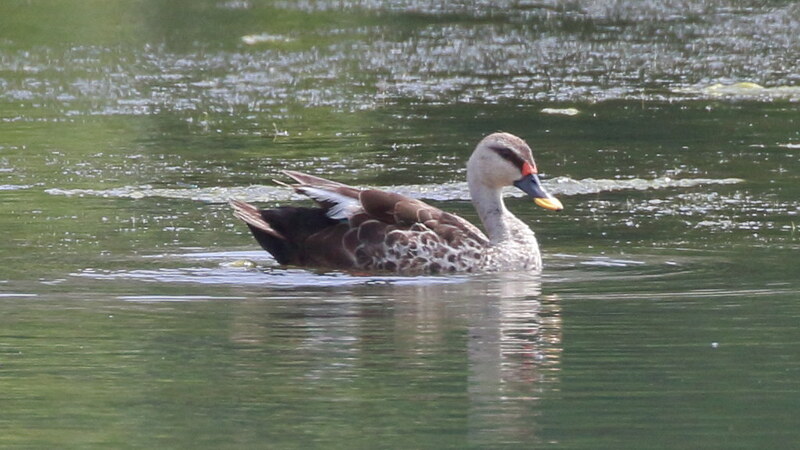 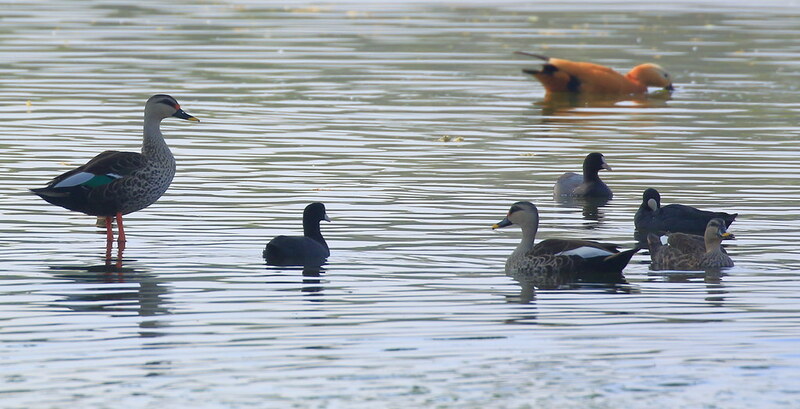 The Indian spot-billed duck (Anas poecilorhyncha) is a dabbling duck which which is a mostly non-migratory breeding duck throughout freshwater wetlands in the Indian subcontinent. 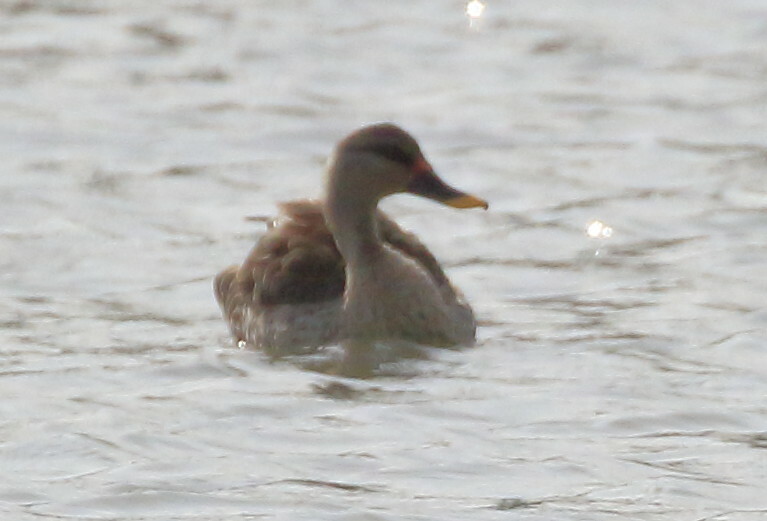 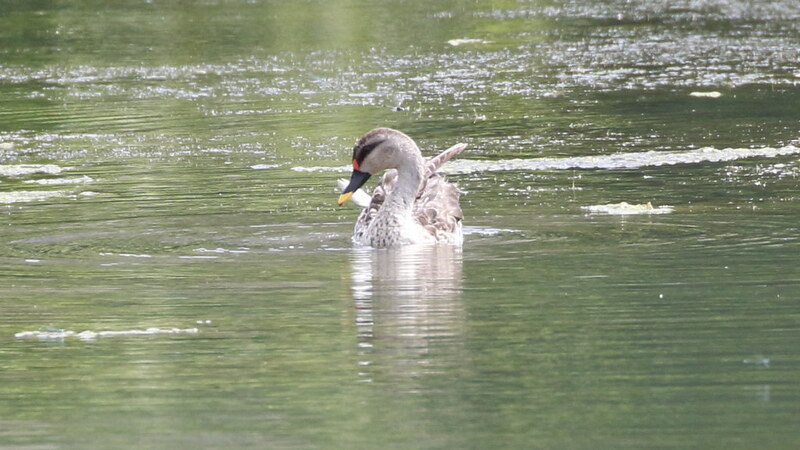 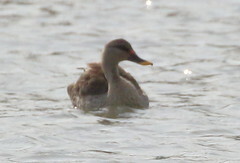 The name is derived from the yellow and red spot on the bill. 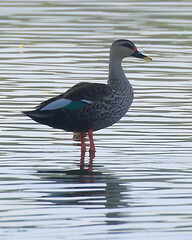 In flight it is distinguished by the green speculum with a broad white band at the base.